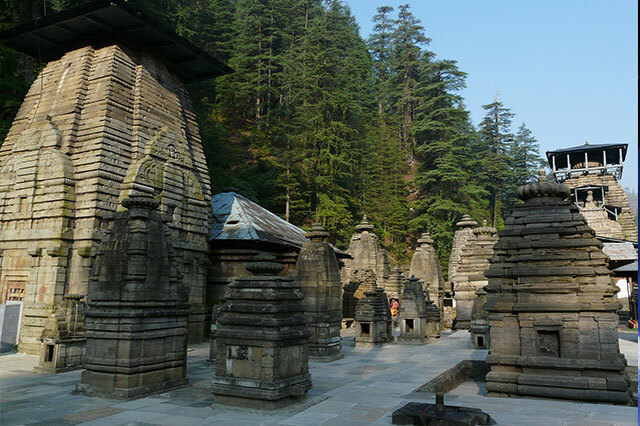 Counted among the 12 Jyotirlings in the country, Jageshwar lies in a beautiful narrow valley hedged by monarch-sized, ancient deodars. Of the over 100 small and large shrines of this complex, the three outstanding ones, in terms of sculpture, are dedicated of Jageshwar, Mrityunjaya and Pushtidevi. Jageshwar temple has sculpted dwarpals standing guard at its entrance . Although the presiding deity at Jageshwar is shiva a strong Buddhist influence is visible in the carvings. It is about 100 Kms. from Nainital. 2016 Travel Agent in Haridwar - An Initiative by Dada Boudir Tour & Travels (REGD), Haridwar . All Rights Reserved .